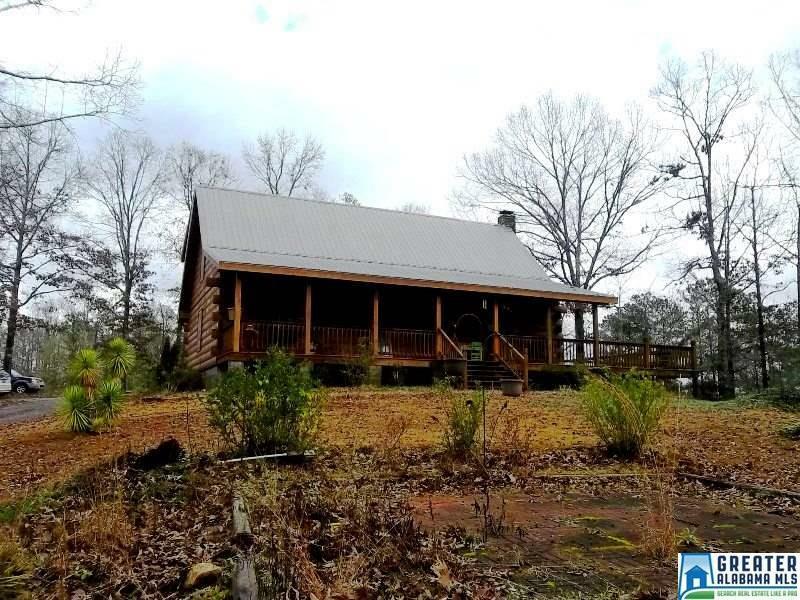 Rustic log cabin atop hillside surrounded by 4.5 +/- wooded acres in Coosa County. This beautiful log home has a wrap around porch, custom shutters, open family/dining area with large rock Okern fireplace, kitchen has custom cabinets and tiled back-splash, large master bedroom with adjoining master bath with large walk-in tiled shower, upstairs has balcony overlooking main floor along with a bedroom and adjoining full bath. This property gives you the privacy of country living but the convenience to Hwy 280 and minutes to either Alex City or Sylacauga.